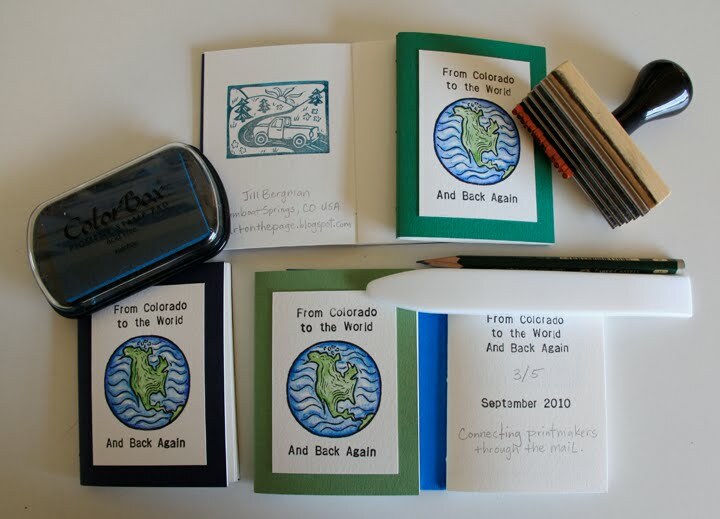 Art on the Page: Colorado to the World... And Back Again? 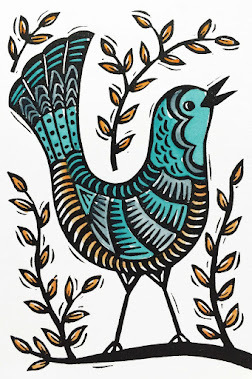 A blog about printmaking, children's illustration, and books. 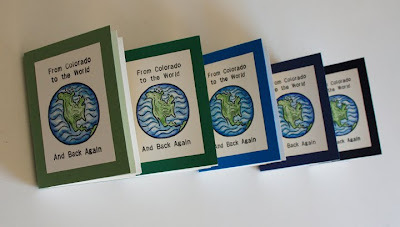 Colorado to the World... And Back Again? I made an edition of 5 of these little books as a mailing project. (Gotta keep the Post Office in business!) I am going to mail them to 5 different printmakers. 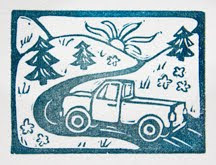 Each person who gets a book can stamp one of their own prints onto a page and then mail it on to another printmaker they know. If you get a book and don't know who to send it to, mail it back to me and I'll send it to someone else again. I'm hoping it will be a way to meet other printers- hopefully we can stay in touch through blogs/websites or email afterwards. Visit here to learn about the book that I'm creating.